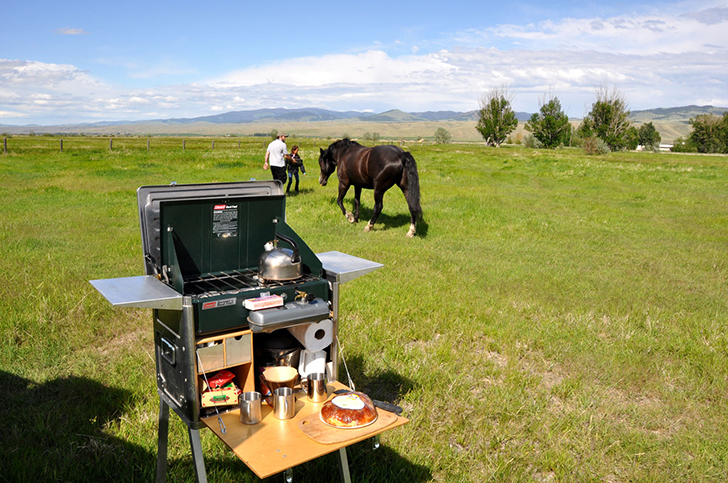 The classic chuck wagon or camp kitchen has become a lot more sophisticated over the past few decades. 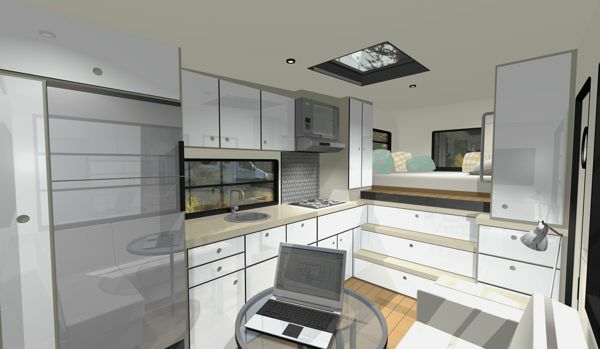 Now campers can upgrade their own kitchen facilities to include these five elegant designs. 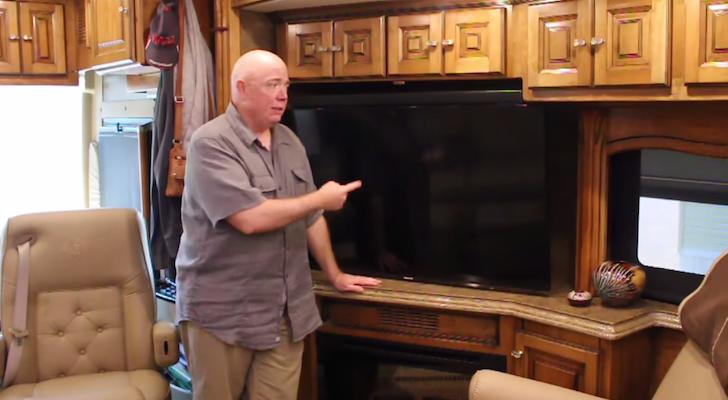 Each of these kitchens are fully mobile and contain everything you need for outdoor cooking. 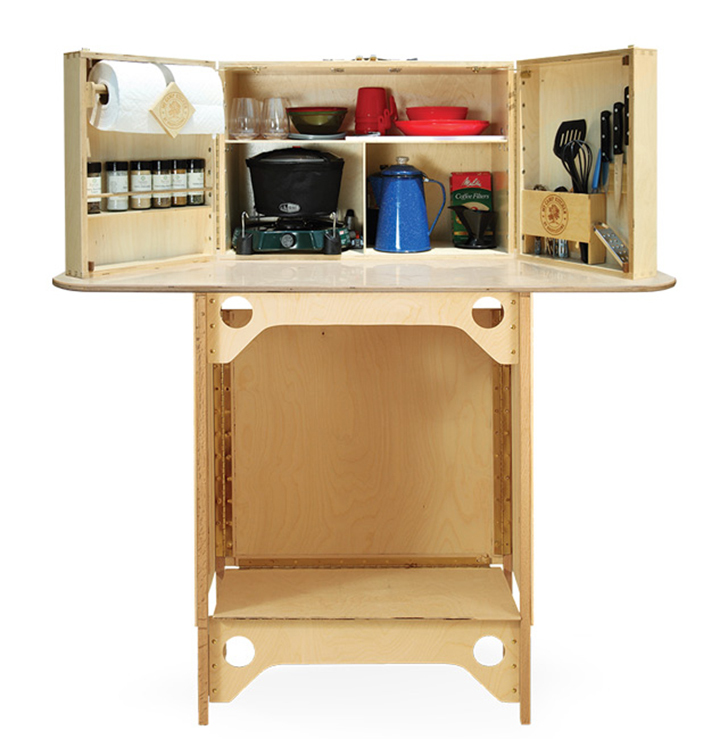 The beautiful Camp Champ Mobile Kitchen is made by hand in Austria from plywood used for building boats. This elegant Camp Champ is fit for a yacht. The design includes okoume plywood inlays and galvanized steel handles and corners. It pops open to display a large work and storage space, an integrated knife block and spice rack, cooking utensils and even a trash bag holder. Yep, no need for collapsible cooking utensils in this portable kitchen. It also features a 2-burner stove and a paper towel holder. The Camp Champ comes with a rain cover and can also be folded up and used as a seat with a comfortable cushion. 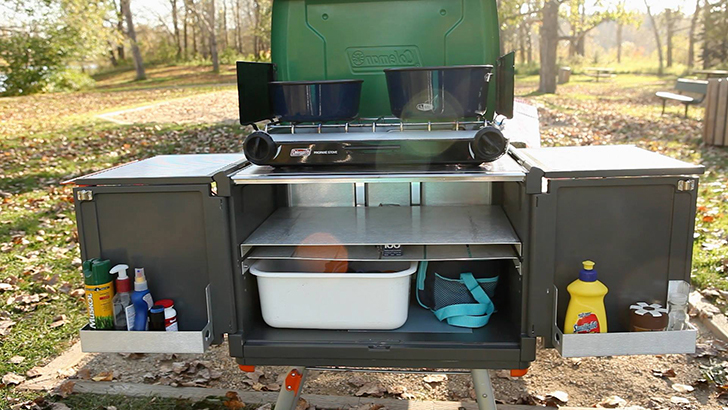 The portable Field Kitchen by Kanz Outdoors transforms into a complete outdoor kitchen in less than a minute. 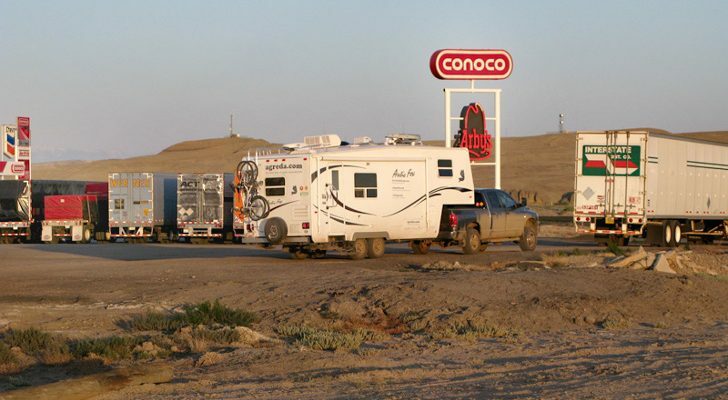 The Field Kitchen can come empty or with a dual fuel or propane-powered stove. The Field Kitchen has several different pricing options. 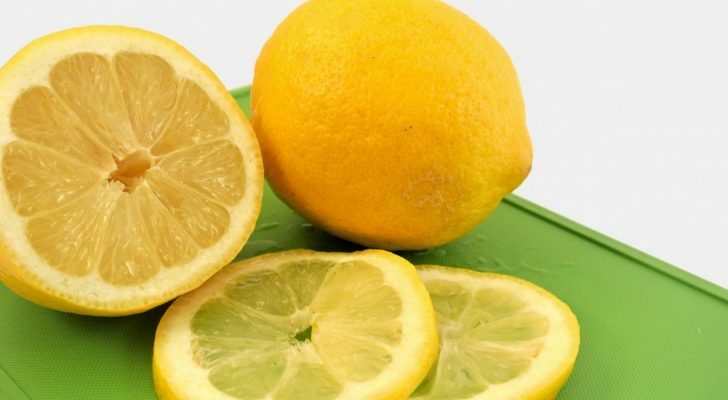 It can also be purchased fully furnished with a 2-burner stove, a quality cookware set, side shelves, a set of legs and a large cutting board. 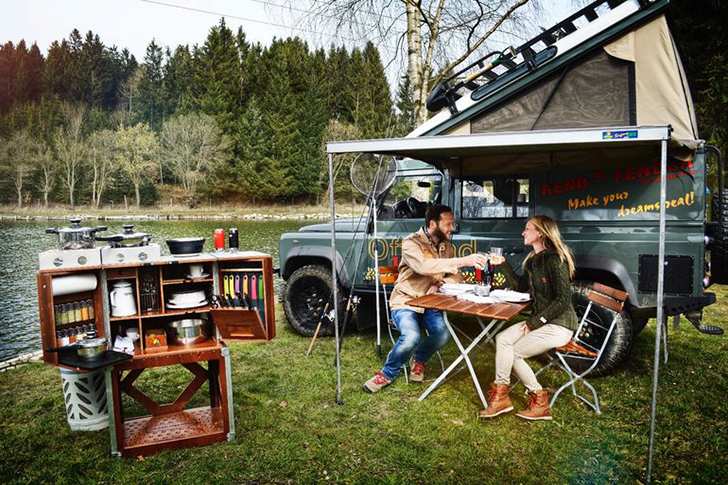 The Field Kitchen protects your stove’s flame and food with a large wind block and the working surfaces are ergonomic and can be used while sitting down. 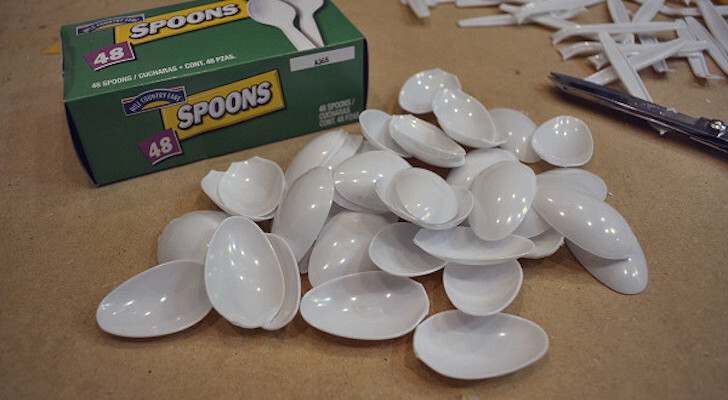 The tidy and convenient My Camp Kitchen by Bristlecone comes in several versions as well. Get their Outdoorsman model as a kit or fully assembled. The Mini Chef is a smaller, lightweight outdoor kitchen and the Summit is the deluxe version that comes with a paper towel holder and a spice rack, flatware and utensil storage, and a magnetic knife holder. My Camp Kitchen comes as a kit or fully assembled. The handles, door latches and hinges are brass finished and each cabinet is made from high-density Baltic birch plywood. The Grub Hub Mesa 1 is a more futuristic version of the camp kitchen made from aluminum, fabric and plastic. 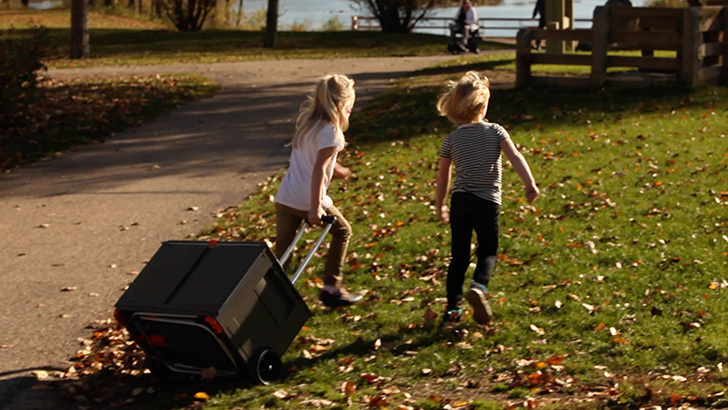 It rolls like a suitcase but can hold all kitchen gear including pots, pans, stove, grill and food supplies. 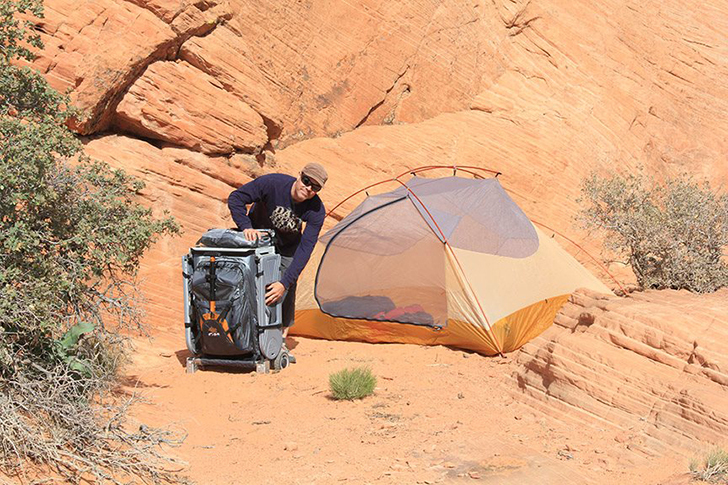 The Grub Hub Camp Kitchen is made from lightweight aluminum and fabric. 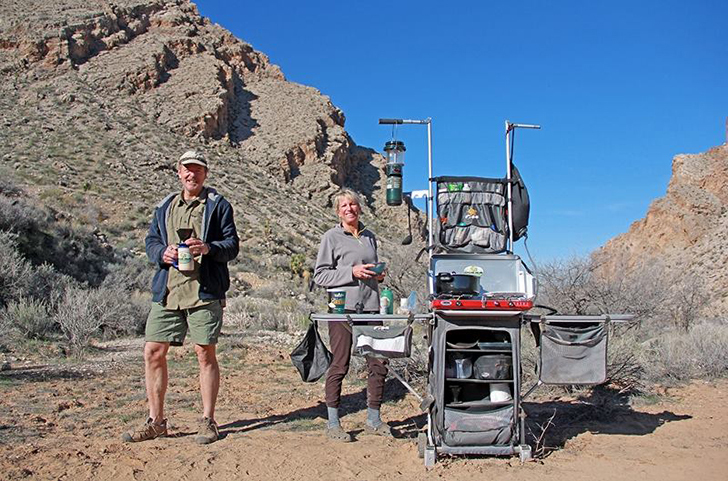 The kitchen includes a folding sink and a telescoping tower provides a handy perch for a camping lantern. The kitchen also includes a paper towel holder and air drying bags for dishes. 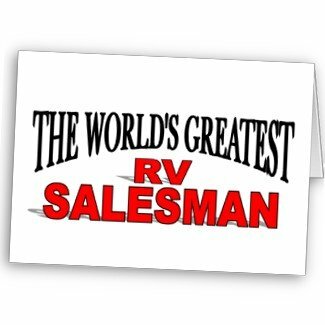 The Camp Caddy is still in its development stages, but the company needs your input to complete the design and send it out into the camping world. 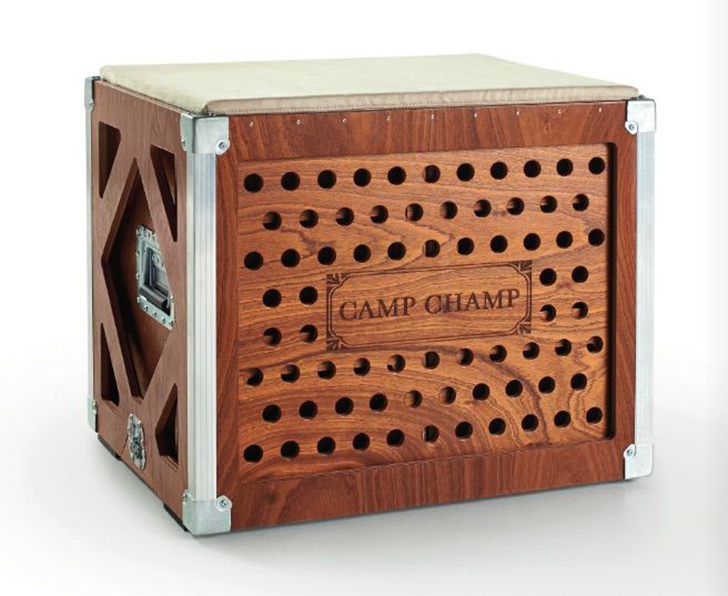 The Camp Caddy prototype needs your input to become a completed product. 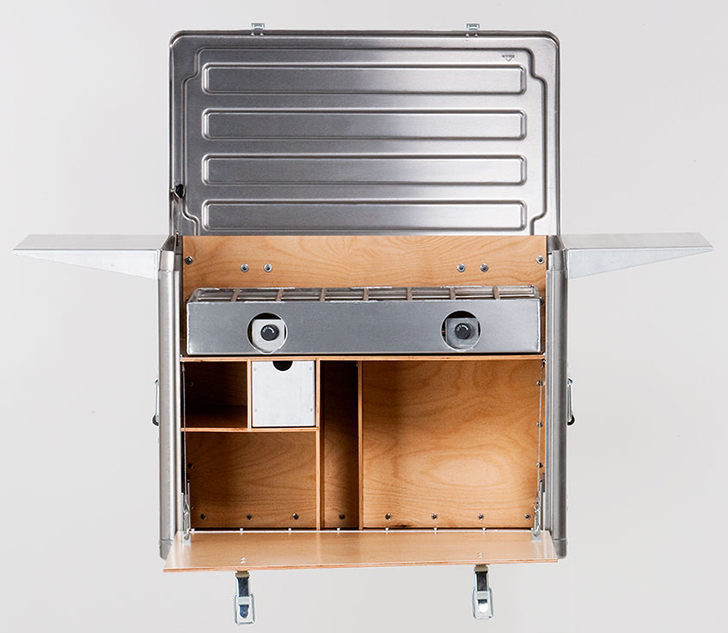 The streamlined, portable kitchen weighs only 25 lb. 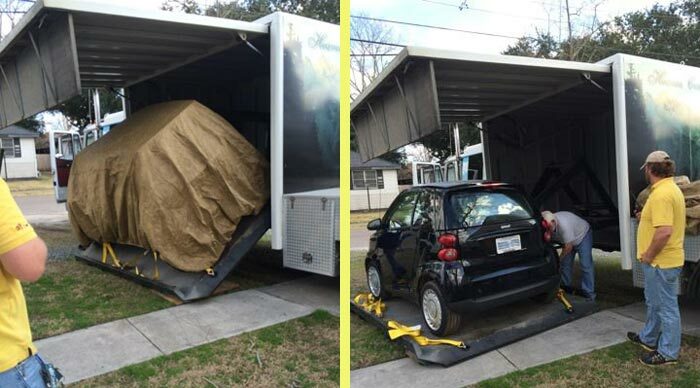 and has space for gear, a stove and simple pop-up legs that allow it to be placed on a picnic table. While you can buy a Coleman camp kitchen for under $100, if you want to spend a bit more – now you know where to start your search!